One of the two key pillars of The Reject Shop’s plans to drive sustainable sales growth is its ‘brilliant basics’ strategy, based around improving product pricing and differentiation as well as in-store experience using customer feedback. In its full-year report, managing director, Ross Sudano, said the goal is to consistently grow sales based on customer insights in order to meet changing purchasing motivations and simplify experiences for consumers. To do this, The Reject Shop said it’s spent the past three years investing in people capability, systems and processes. Driving both the capture and utilisation of insights is the retailer’s Savvy Shoppers database, which has now reached 1 million consumers. 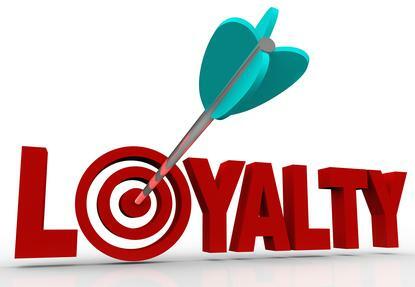 Off the back of this, the group plans to launch a loyalty program during the first half of the 2019 financial year to reward customer loyalty while also securing data on shopping habits, product purchases and category interests. This will involve the launch of a national competition in Q1, encouraging customers to shop, scan and win. “We will then use this data to better tailor the way we communicate with our core customers,” Sudano said. The other strategic pillar is seeking new growth opportunities, and Sudano said the team is looking at opportunities to leverage its infrastructure and assets to generate new sales and profitability. He claimed it had succeeded and identified a number of initiatives to focus on over the next three years. These encompass new categories, space optimisation, store refurbishment and different store formats. “Having completed many of our system and process changes, we are now able to invest in taking these from ideas to actions,” Sudano said. The Reject Shop will assemble an innovation team in the first half of FY19 to build these out. Overall, Sudano said the group was pleased to have generated strong profit growth against a particularly challenging time in the retail space and a flat overall sales result. He noted investments into its new distribution centre, simplified business operations and supply chain efficiencies specifically for the operating profit gains over the past year. “Our focus on executing our customer-driven strategy is unrelenting and we completed several change projects during the year, lifting seasonal sales opportunities while also improving the in-store delivery of our merchandising strategy,” he added.